Theresa M. Koenigs, 72, of Cambridge, died Saturday, March 16, 2019, at Toulon Rehabilitation & Health Care Center. A funeral mass will be 11:00 a.m. Tuesday, March 19th, at St. John Vianney Catholic Church, Cambridge. Father John Burns will officiate. Visitation will be from 5 to 7 p.m. Monday at the Cambridge Chapel of Stackhouse-Moore Funeral & Cremation Services, with a rosary at 7:00 p.m. Burial will be in Rosedale Cemetery, Cambridge. Memorials may be made to St. John Vianney Catholic Church or Beacon of Hope Hospice. 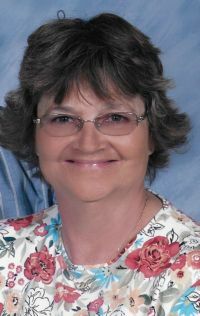 Theresa Marie Slavens was born May 8, 1946 in McCook, Nebraska, the daughter of Gerald and Ruby Ruf Slavens. She was educated in the Quad City area and attended Moline High School. Her marriage to Ronald A. Koenigs took place on April 16, 1966 in East Moline. Theresa studied flower arranging at Black Hawk College, Kewanee, where she also received her CNA designation. She was employed at Hillcrest Home, rural Geneseo, in the 1970's, and then worked for area flower shops. Theresa was a caregiver for friends, neighbors, and her family. Her memberships included St. John Vianney Catholic Church and its Altar and Rosary Society. In her early years, Theresa was a 4-H and scout leader. Those surviving are her husband, Ronald, four children, Nancy (Alan) Evans, Aurora, IL, Daniel (Deanna) Koenigs, Cisco, IL, James (Kris) Koenigs, Kewanee, Rhonda Turner, Atkinson, 12 grandchildren, and12 great grandchildren. Other survivors include her mother, Ruby Slavens, East Moline, and two brother, Ron and John Slavens. Her father, one sister, and three brothers preceded her in death.